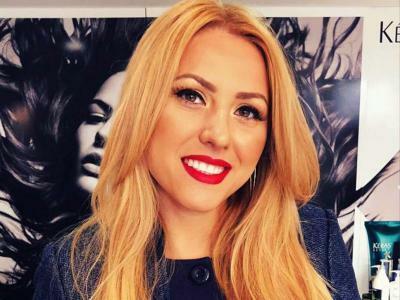 ROME - The murder of Bulgarian journalist Viktoria Marinova is yet another event indicating that journalists’ freedom of speech is under threat. Ms Marinova’s body was found in a park in Ruse, a city in the north of Bulgaria, on Oct. 6. It appeared she had been hit on the head and strangled. Minister of the Interior Mladen Marinov said she had also been raped. Although authorities have yet to confirm if her murder was linked to her work as a journalist, it is highly suspected the attack was politically motivated. On her current affairs talk programme entitled ‘Detector’, Marinova had investigated EU corruption and misuse of funds. She interviewed two journalists, Dimitar Stoyanov and Attila Biro, who were arrested while the case was being investigated. Marinova’s murder recalls the assassination of Slovakian journalist Jan Kuciak in February. He too had been investigating corruption and fraud within the EU. Evidence indicates an incessant plight among political heavyweights across Europe to limit the press freedom. Only recently, Austrian Interior Minister Herbert Kickl was forced to deny having written an email to the police advising them to withhold information from three publications. His denial is somewhat dubious since the email was reportedly sent from his office. Just days ago, the Croatian national TV channel fired Hrvoje Zovko, one of their most important journalists. Although they claimed it was due to his “aggressive and unprofessional behaviour,” it is suspected his dismissal was for political reasons, since he regularly criticised the centre-right government. Furthermore, concerns have been raised that political authorities are also manipulating the information published in their countries. Analysts have found that programmes of a nationalistic tone have been dominating Croatian television channels ever since the right came to power, resulting in the resignation of many influential journalists. Moreover, shortly after taking office in 2015, the Polish President signed legislation giving the new Conservative government the right to appoint the heads of public television and radio. This right was previously held by the National Broadcasting Council, an authority renowned for protecting freedom of speech.